On the First Day of Christmas my True Love Gave to Me…. we all know the words to the Christmas song ‘The Twelve Days of Christmas‘ and this year that song is going to resonate even more because Apple is releasing its 12 Days of Gifts app in the United States for the very first time! You can download the app in the iTunes store for free. The Twelve Days of Christmas are the festive days beginning on Christmas Day, the 25th of December, and continuing through Epiphany onJanuary 6th. Although still celebrated in many countries, it is typically not celbrated in the United States because of a greater emphasis on Christmas Day itself and an increased interest in celebrating New Year’s Eve. Apple will kick off its giving on 26 December, a day after most of the season’s gifts are given. It has not said what the gifts will be, but it is offering them for free, and will let users get in the game from today, when you can download the app. In previous years, Apple limited the promotion to Canada and Europe so it’s great to see that this year the company is bringing the app and giveaways to the United States. The program runs from December 26th through January 6th, with each day offering a free downloadable song, app, book, movie and more. Every offer is valid for only 24 hours and some content may not be available in all areas. Gifts from last year’s 12 Days of Gifts deals have included “some episodes of The Big Bang Theory, a Christmas music sampler EP, a best-selling books, some episodes of Mad Men, an iTunes Live EP from Bedouin Soundclash, music videos and songs from Kings of Leon and Johnny Reid, tracks from One Direction, Kesha, and Maroon 5, the movie One Week and two apps, Diner Dash and Fishing Kings. Offers will vary from country to country. 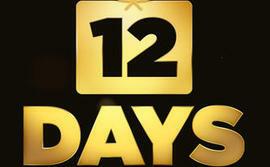 So if you want to get in on 12 days of surprises and fun, be sure to download your app today! Merry Christmas to US… from Apple! Are you going to join in The 12 Days of Christmas (Gifts) this year? 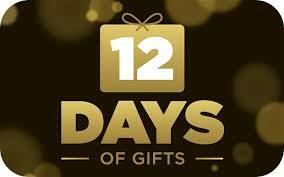 Get the 12 Days of Gifts app here. 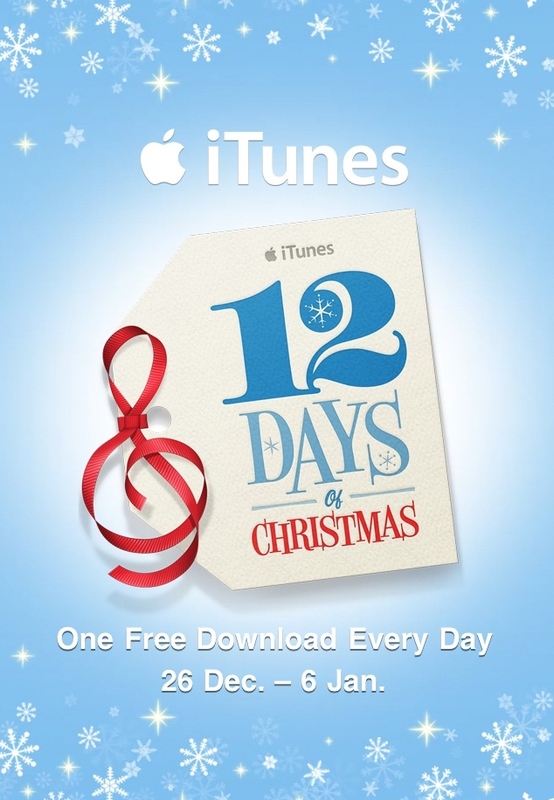 Be the first to comment on "The 12 Days of Gifts – Free from Apple"